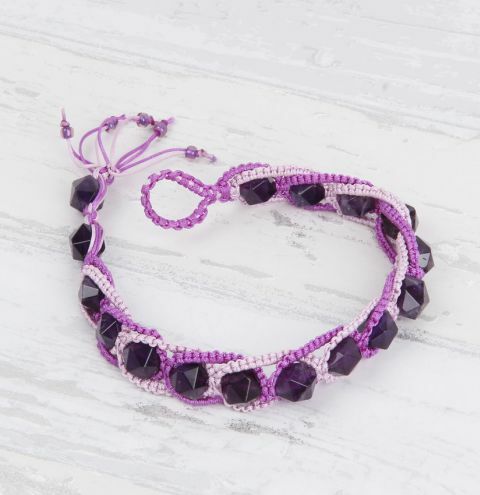 Learn how to master the lark's head knot for MacraMay and make this gorgeous bracelet with faceted amethyst beads. Designed by Joy Wignall. Find all your project materials under the 'Materials Needed' tab above.